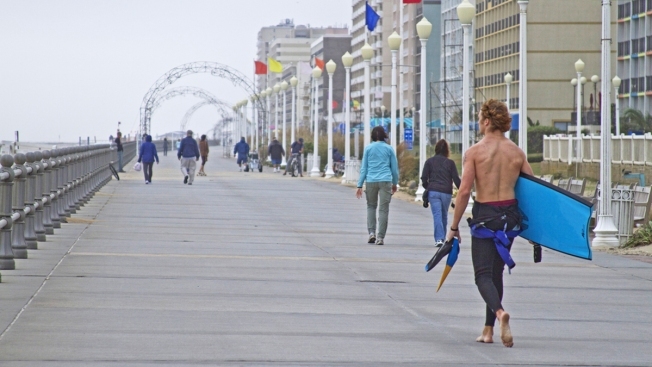 The resort city of Virginia Beach is bracing for an influx of college students. The occasion is College Beach Weekend, and students are expected to begin arriving Friday night. While last year's event went smoothly, two years ago violence erupted along the Oceanfront. In 2013, as many as 40,000 people packed the resort strip. Police reported three shootings, three stabbings and more than 100 arrests. The Virginian-Pilot reports that most of the charges were misdemeanors and summonses related to liquor and seat belt violations, disorderly conduct and public drunkenness. Police consider this weekend to be the kickoff to the summer season. They say they'll have a strong presence on the Oceanfront.